Please visit MSN' new website by clicking here. 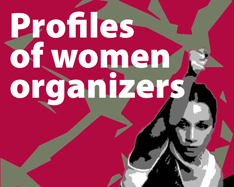 This archive documents the work of the Maquila Solidarity Network (MSN) and our partners and allies over a 20 year-long trajectory and provides what we hope are useful historical references and lessons for ongoing research, analysis and work related to women and labour rights issues in global supply chains. Much of the English-language material can also be found in Spanish on the Spanish page. At the end of December 2014, MSN closed its Canadian campaigning and public education programs. 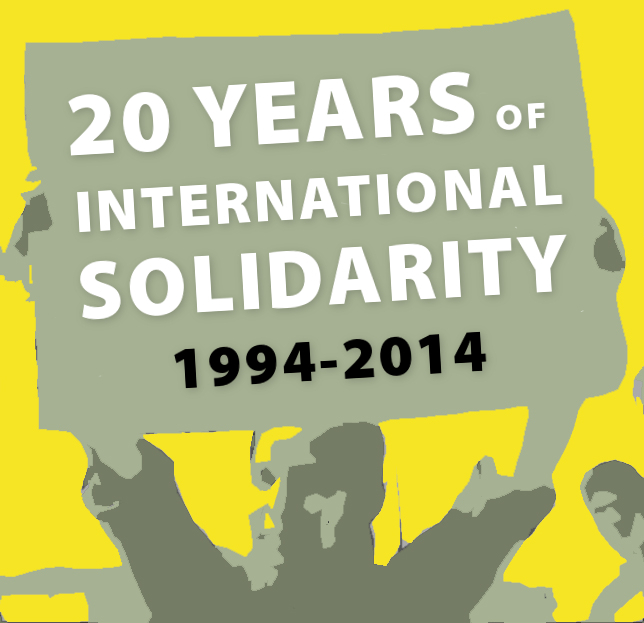 This archive shares much of that history. The About MSN section of the archive includes links to specific campaigns we worked on as well as to individual articles and urgent actions published through the years. 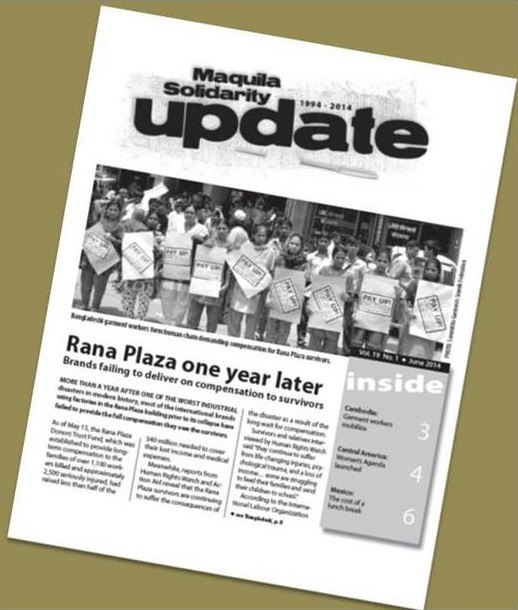 The Resources section contains all issues of regular publications including the 8-page newsletter Maquila Solidarity Update published between 2003 and 2014; the Codes Memo, published between 2001 and 2008, which critically examined developments in voluntary codes of conduct and multi-stakeholder initiatives (MSIs); as well as links to other studies, tool kits, and reports on forums and events in which MSN played an important role.